At Goldbeck Recruiting we take pride in our team, they are a combination of hardworking, loyal and talented individuals like Karen. We believe that without a solid foundation and an exceptional team an organization like Goldbeck Recruiting would not be able to provide the services we do to employers and employees across the globe. Karen was born and raised in small-town Regina, Saskatchewan, although her roots from her small town suggested pursuing a career in teaching or nursing, Karen was keen on the business world, in particular human resources and accounting and finance. These two interests combine perfectly in her career as one of Vancouver’s most respected Accounting and Finance Recruiter. Karen has worked with various firms since moving to Vancouver, BC including the launch of her career in recruiting with Holloway Schultz. Karen has a passion to help others, as well as understand and support peoples needs on a professional level. The care she takes with clients and candidates to understand their needs and make a great match is appreciated by many in the business community. Karen has helped launch the Finance and Recruitment Division at Goldbeck Recruiting. Her experience and skills enable her to place job seekers from all levels of accounting into various private and public sectors as well as not-for-profit organizations. 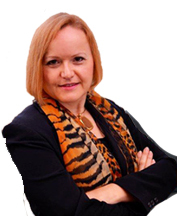 Karen can deliver results that allow employers to retain the right employees within their organizations. Karen’s success is a direct reflection of her ability to focus on understanding her client’s business needs, the organization structure and staffing environment. She can meet these immediate and long-term needs through a Recruitment lens that connects job seekers and employers with the right fit. If you are looking for a career in Accounting & Finance, or an organization searching for an employee, Karen can help meet your criteria. For all employer and employee inquiries please contact us directly or email karenepp@goldbeck.com.